Ok, this might sound weird to the normal person but I suspect y'all will understand my plight. I moved here from a goat dairy in Oregon. I miss my goats terribly. 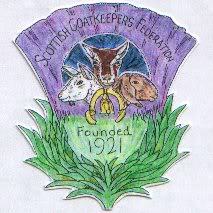 I am looking for someone near Inverness that might need/want a little help with their goats once in a while. I can help you and get my goat fix at the same time. lol. I have been asking everyone here but no one knows anyone with goats, so thought I might see here. With kidding season coming up maybe someone could use a couple extra hands.